I confess. I may be a lover of plants, and have a lot of experience growing them, but I don’t know much about growing orchids. I do grow some, but I think it is mostly by chance and luck that they grow well. After attending the Greater Lansing Orchid Society’s (GLOS) Orchid Show yesterday at Michigan State University, I confirmed with growers that once you find the right spot that makes your orchid happy, you will have no problem growing them. But where is that? According to the American Orchid Society (AOS), each type of orchid has a preferred location in your home and with proper care; GLOS tells me you could even have orchids thriving in your windowsill. Temperature ~ Orchids will tolerate averages of 75 during the day and 55-65 at night. Don’t allow them to sit in a cool draft or in the direct path of a heater vent. Humidity ~ On average, home humidity may be about 20-30%. Orchids prefer 50% humidity or above. AOS suggests you group plants together or place on a gravel-filled humidity tray to raise it. GLOS recommends 70-80% humidity. Watering ~ Ah, the trick is….getting to know your orchid and what makes it happy. I know some people that have the Phalaenopsis orchids that are watered with “three ice cubes per week”. Interesting marketing, but cold! Not all orchids will respond well to this, but, it seems to work for some. I gather my orchids and put them in the sink, water thoroughly, allowing the excess to drain out, then put them back where they belong. That works best for me since I only have a couple. The key is to get the media wet, but not keep the orchid drenched. A true balancing act. 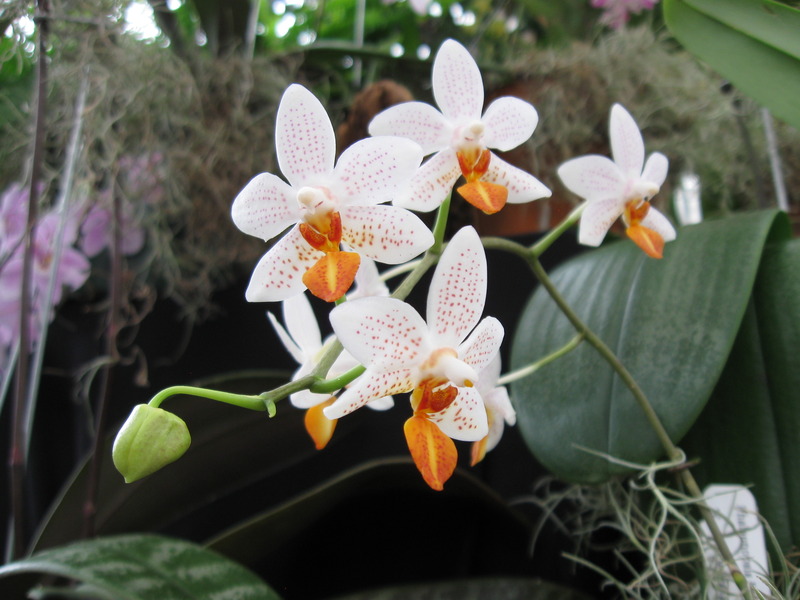 Fertilizer ~ Fertilize with an orchid fertilizer, low doses and even lower in the winter. Consistent fertilizing will provide the plant the necessary nutrients to flower and live happily ever after. Easy right? 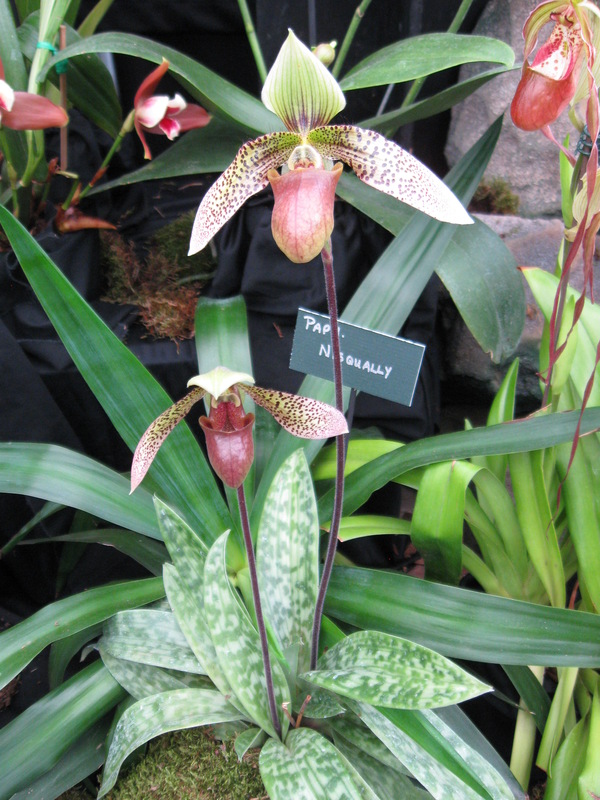 Paphiopedilum "Oriental Limelight" Flower with an attitude!